The hardest one to write. I don’t know how I can say this. It still doesn’t feel real until I tell someone or someone asks me about what happened. How can something hurt so much but leave you numb at the same time? 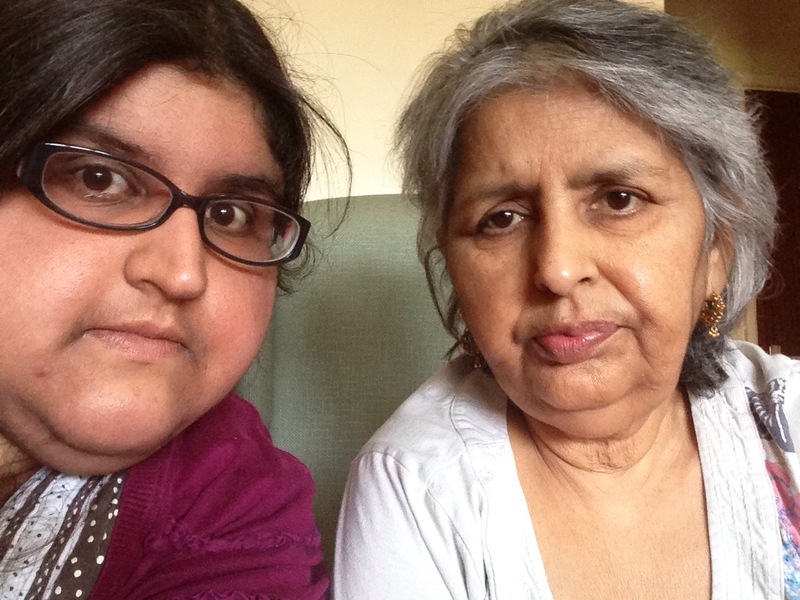 My mum passed away 4 weeks ago, during the evening of 5th November 2014. She was 61 years and 3 weeks old. I cannot accept that I will never see her again, never speak to her, never hug her again. My life feels so empty. I feel I have lost everything. 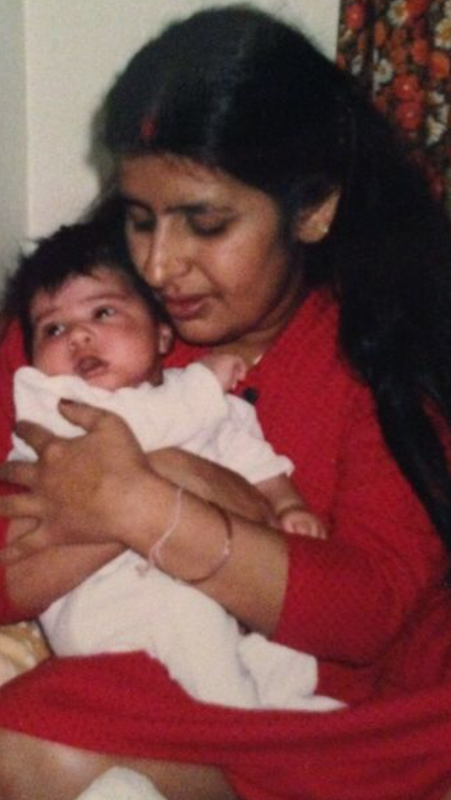 My mum was everything to me. I don’t think I can put into words just how much I love her and how much it hurts that she has gone. It’s a pain like no other. The one person who loved me unconditionally in the world has gone. I feel so alone. Every time I think about what happened I feel sick. It is like someone has torn something out from me but I can’t see from where. I want to think about her constantly but it hurts too much if I think for a second too long and the tears in my eyes build up. I don’t think I will ever forget my final moments with her. I honestly think this will haunt me forever. I remember it so clearly. Mum and I were both admitted to different hospitals around the same time at the start of October. I was in hospital for erythroderma, a complication of my eczema and my mum was seemingly in for just her usual case of chest infection. Throughout my week in hospital my mum and I kept in touch and she was progressing well. It seemed that by the time I would be discharged she would be too. However things suddenly changed; she was becoming unresponsive, being sick, confused. At first they queried a seizure but the EEG showed there wasn’t. On 17th October I was rang by an ITU registrar asking me various questions about what my mum was normally like, I thought nothing of it until I arrived on the ward to see her. I was taken into a room with him and nurse to be told the EEG was suggestive of Encephalitis, inflammation of the brain. He then said they would let my mum go if she could no longer breathe for herself and not intubate as they felt she would not recover. This was very distressing. However mum started making progress slowly. From opening her eyes to saying hello to having short conversations. All through this time the doctors kept reiterating that she was very ill however while I knew this, I also knew my mum had overcome a great deal in the past 18 months so I thought this was just another battle she will win. Sadly she didn’t. A few days before she died she was having a lot of problems with extremely low blood pressure, to the point they were so concerned they asked me to get there ASAP I made a 40 mile taxi journey from uni to get there. I was told her lumbar puncture didn’t show any viral cause of encephalitis. So they continued treating her for it but the neurology team were involved to see what else could be causing her to be so very unwell, for example vasculitis or mini strokes. The day before mummy died, she was the most lucid she had been in a few weeks. I’m so glad we had this day. I was so happy when I arrived on the ward to be told by a nurse that she had been having a proper conversation with everyone that day and that she was asking after me and to bring in lots of rice pudding in for her tomorrow as she was getting through so much of it. She asked me about uni, I gave her a back rub, we talked about her favourite foods etc and she said she wanted birthday cake as she wasn’t responsive when it was her birthday so I said would bring some in the next day. I left feeling relieved. The next morning, the day she died, I got a phone call saying they had many problems during the night with her blood pressure and that doctors had spent a lot of the night with her. I was told to come in for a chat with the doctors. When I arrived I was told the only thing that was raising her blood pressure at all was the blood transfusions. However mum was suffering so much because she had no IV access at all and they kept trying and trying and would not listen when I said she needed proper IV access like a PICC line. They finally put in a PICC line around 6-7 hours before she eventually died. Much too late. I had discussions with the consultant who was looking after her about the situation who said it was still unclear what exactly was going on. I saw the ITU consultant who said if there was a reversible cause they would intervene however not for the time being and she will continue to receive active treatment on the ward. There was also a neurology meeting about my mum which after she died I was told didn’t come to any firm conclusions. It got later and later, I kept thinking I would go home after the next set of observations but then that time would come and I didn’t want to leave. She had a severe hypo early on in the evening which was treated swiftly and so I decided, I had this feeling that I must stay with her tonight so that if she had a bad night again she wouldn’t be alone. She was trying to cough something up but just couldn’t. The nurse tried suctioning her but couldn’t get it. She took some more observations and my mum’s observations were the best they had been all day, she then left us and mum was still making this gurgling sound, I was trying to talk to her saying hello and asking how she was. Her voice was quite weak and she repeated hello and told me she was okay. I was sat next to her and thought something strange was happening. She had gone quiet and her eyes were just staring into space. I decided to clean her mouth as she was still sticky from the glucose gels they had given her for the hypo she had earlier on in the evening. I dabbed a wet wipe around her mouth and thought she would fidget at me doing this but she did nothing. I thought this was odd and went to ask the nurse about this fully expecting her to reassure me that there was nothing to worry about. The nurse came back into the room with me and tried to wake my mum, tried to feel a pulse from her neck and couldn’t find one. “I don’t think she’s breathing” I felt all the blood in my body drain to my feet when she said this. It couldn’t be happening. The alarm was sounded, crash team on their way. The staff started CPR, chest compressions and I stood there in the corner of the room refusing to leave until I was eventually forced to when they were checking if she had a shockable rhythm. I left knowing all was lost. I knew I had lost my mum. The nurses were saying don’t preempt it but I knew. I knew from all the times I had been in hospital that it’s very unlikely that a person in cardiac arrest can be brought back. I sat in a room with a nurse, waiting and waiting. Someone from the crash team arrives and says we have got her back, she needs helps with her breathing and we will most likely be taking her to intensive care. This is important as they said they would not do this, they did more than they said they would and so I know they did absolutely everything they could have done to bring her back. The cruel twist is that they lost her again not long after this tiny glimmer of hope. And they could not bring her back this time. They came in and all they said was sorry over and over again. I couldn’t believe it, just complete and utter shock. An hour ago I had my mum and now she was gone. How could this be? I went in to sit with her and she could have been sleeping. I kept thinking her eyes were moving or that her fingers were twitching. When I gave her a hug before I left it felt weird. It was so hard to leave her. After she died, there were a few issues about establishing a cause of death, the doctors weren’t happy about putting encephalitis down on the death certificate as encephalitis doesn’t have a high death rate although it is a serious condition and she was quite young relatively speaking. The consultant was waiting to hear about the outcome of the neurology meeting that had took place the day she died. As mentioned it didn’t bring up anything concrete, suggestions were vasculitis, mini strokes, a rare ischaemic brain injury of some sort but nothing specific. I didn’t want her body to be subjected to any further suffering via the way of the post mortem. The consultant felt that as the EEG was consistent with encephalitis they could put this down as the cause of death after all. He was very nice and answered all my questions and welcomed me to phone him anytime even six months down the line if there is anything else I wanted to ask. I have a niggling doubt about the cause of death but it makes no difference to the situation and I didn’t want a post mortem to happen so I have to accept it. The funeral was very hard. It went very quickly and felt rather hollow. The funeral did not give me any closure and only caused me distress due to various factors but most significant was when my aunt who had caused me so much distress during my mum’s illness, took me without a word about what I was about to see so that I couldn’t make a choice, my last memory of the funeral was the seeing my mother’s coffin go into the fire. This is deeply upsetting and I want to forget this and keep trying to. I could have dealt with the funeral if I had not seen this. There’s now so much practical stuff that has to be sorted out and it is so very stressful. I don’t know how I am going to do it. It’s so scary. So with all this stress it’s affecting the way I am grieving for my mum, I don’t know what is the right or wrong way to grieve. Everyday that I visited my mum I gave her lots of kisses, told her how much I loved her and told her all this again and more kisses before I would go home. I truly hope she knew how much I did love her, I knew I had to keep telling her just incase something happened and I wasn’t there. I knew she loved me, that’s one of the things I am certain about in my life. The way she loved me was so special. She did so much for me in my life, she was my strength because she was the strongest person I knew. And despite how upsetting that night was, I am so very glad I was there. She didn’t die alone, she was with the person who loved her unconditionally who she loved back unconditionally. And this is a very small but definite comfort. I was there. I now think about the future we won’t have together, she won’t be there to see me graduate, if I get married or be a grandmother to my children. My mummy loved taking pictures, there are thousands in a box we have. They used to seem like a lot before, now, they don’t feel nowhere near enough. I don’t know how I can be on this planet for the next 40, 50, 60 years without her. She left me far too soon and I keep thinking how could she? I know she didn’t want to die and didn’t want to leave me but I feel so cheated. I loved and love you so much, mummy. I really hope you are still here somehow even though I can’t see you. Rest in peace, the most amazing mummy.